WEDF Talk // Graphic Designers: where do we go from here? Devoted, selfless and passionate; Ken Garland is a designer who has been at the forefront of Britain’s creative culture since 1962, where his involvement in the British Nuclear disarmament campaign became the driving force behind its visual message; a pursuit that he happily followed without pay. He then gained notoriety for writing the ​‘First Thing’s First Manifesto’ in 1963, which rallied designers to a mantra of using their talents towards a more meaningful goal, opposing the notion that graphic design is most lucrative when serving the whims of advertising. After forming Ken Garland & Associates, (his own agency that he vowed would never grow beyond four people), Garland worked with such clients as Galt Toys, and designed everything from brands to children’s games and furniture, all the while ensuring he was still well practiced his other passions, photography and lecturing. Over 50 years after First Thing’s First, Garland is still a predominant figure in the graphic design industry, connecting countless generations of new designers through the inspiration and insight he has gained through his illustrious career. ‘Graphic Designers: where do we go from here?’ will showcase the values, wisdom and ideology of one of Britain’s most treasured designers through his own flair and enthusiasm. Photo of Ken Garland: copyright Jason Wen 2012. Thank you to Matthew Fairweather for suporting this event. 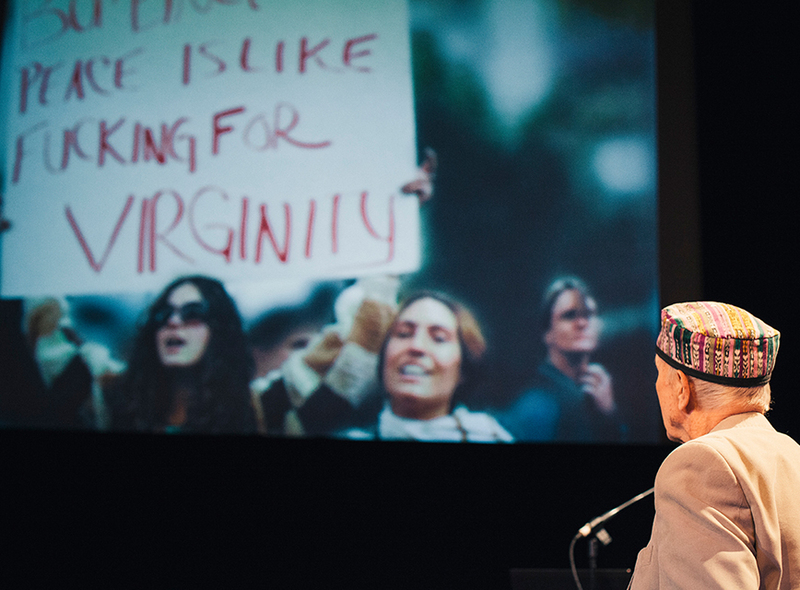 WEDF // Ken Garland // 14 May 2014 from West of England Design Forum on Vimeo.